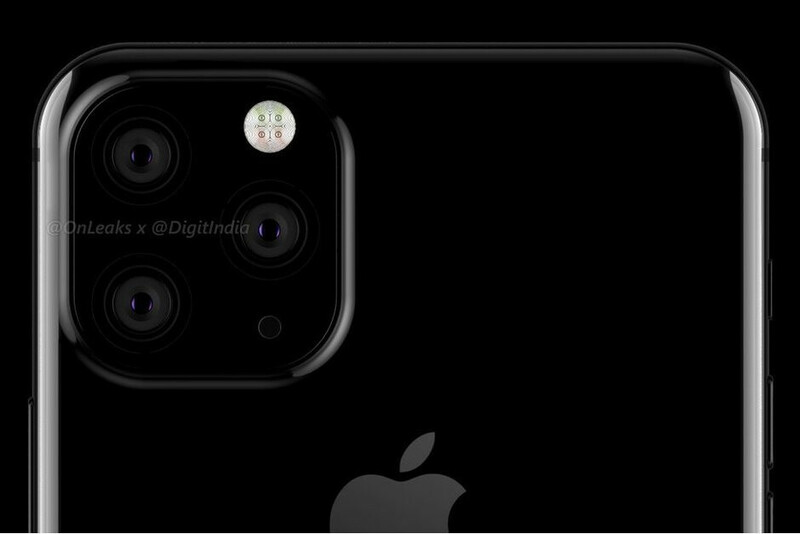 Make of this what you will, but the iPhone XI, or whatever the XS successor is called, is now claimed to eschew the leaked prototype design with the square camera on the back and go for the other leaked possibility - a horizontal triple-lens set. While some argue that it looks like a cyclops, it's certainly better than the square island alternative tucked in a corner that appeared as another Engineer Validation Test prototype. That one could still make it into an eventual XI Max, though we doubt that Apple will make its prime 2019 iPhones so different from each other. As to what will the third camera do, it could very well be a 3D depth-sensing Time-of-Flight sensor for Apple's AR Kit to take advantage of, as the Galaxy S10 and other 2019 flagships are also rumored to have one of those. While the tip that the iPhone XI will retain the 5.8" OLED display of its predecessor but with a smaller notch due to shrinking of the TrueDepth camera components, is utterly believable, the next bits of info from the alleged "insider sources" are a bit hard to take at face value. Imagine an iPhone XI with a 4000 mAh battery and a USB-C port instead of Apple's proprietary Lightning connector, and you will see why. 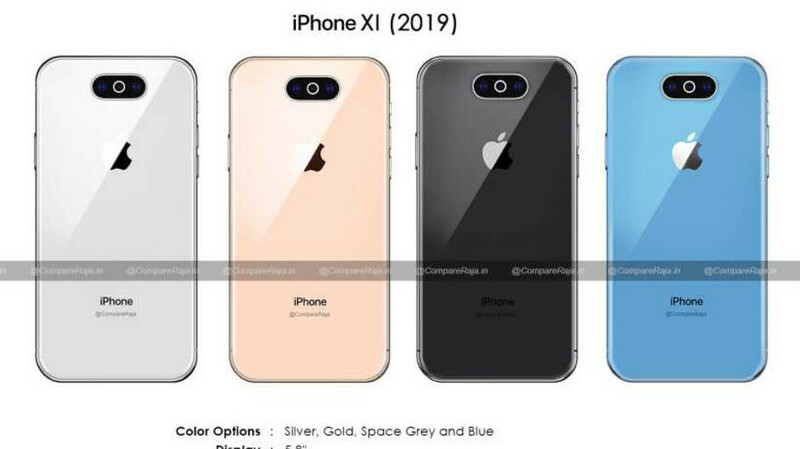 There is a gray area between believable and hard-to-imagine rumors in this latest report, and it is the purported new color for the iPhone XI. Due to popular demand, a blue option might be added to the current Silver, Space Gray, and Gold housings. Last but not least, the tipsters claim that the 2019 iPhones won't offer 5G support, but we already knew that, and 5G networks will be few and far between this year anyway. If that’s it, then please just stick to the way it is now Apple...geez. It’s like they’re not even trying anymore, if this turns out to be the look. That setup, and an intel modem equals left on the shelf. It's no different then Samsung! Just not a square, they make a change and you say it's boring, no change and you complain they never make a change. Changing the position of the camera isn't really change is it? The problem is that this is were we are at in smartphones. A little faster cpu and a better camera basically, and people are still fine with their 3-4 year old smartphone until it brakes. The innovation needs to come out of the software not the hardware, because our needs are basically met there. An iPhone with 4000mah Battery. No way this can be true..! Ultrasonic Inscreen fingerprints return seems dead on this year iphones apple wishlist.Guess may be next year or year after that. Apple won't, because that looks completely idiotic. I'm not a fan of Apple's design teams and not even they are capable of something that ugly. At least, I hope not.